I am grateful for participating in the 2017 Hay House Summit and have made some interesting new relationships as a result. I purchased the Hay House Summit and you should do this too before the offer expires May 23rd. Use this link to sign up for the entire collection for just $197 including 100 lectures, 20 videos, and 8 online workshops. I found the premise of this talk very interesting and I would like to restate it, agree with it, and perhaps even challenge it. Dr. Northrup deftly explains how Empaths, who are characterized by loyalty, optimism, and cooperation, are linked to Narcissists, who use malignant intuition for personal gain. She says there is a fundamental difference between those who feel and give and those who scheme and take. She argues that this is not, as previously believed, due to unhealed childhood trauma. She believes that the narcissists who often exhibit traits of the personality disorders of “borderline, histrionic, narcissistic” are not in fact unconscious of their amoral behavior, but that they are quite aware of their actions and just don’t care. She explains the patterns, the underlying mechanisms, and the way to transcend the traps. So how do we reconcile two types versus two styles? I believe that we need to look at the concept of theory of mind. In normal childhood development, people develop this theory of mind that states other people must have rich inner lives with their own inner motivations that are opaque to us. 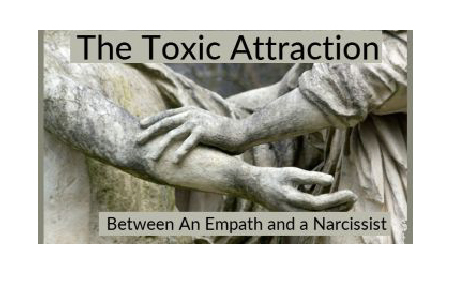 I believe that there are two types of humans but that they aren’t narcissists and empaths as Dr. Northrup asserts. I believe that people are either open to change and love or resistant to it an seek to master a distorted and contrived world. Narcissists can’t imagine an identity without their “peak state” which is often based on peak attractiveness, wealth, stature, or aptitude. The greatest narcissists I have known told me I was the most “beautiful, intelligent, desirable, or talented” person at some moment in their lives. The narcissist makes the mistake of clinging to a fixed and exceptional image of themselves despite living in a world that is indifferent to reinforcing their story. They grow relatively less attractive, gifted, or accomplished but cannot adapt to having to prove themselves or live with changing reality. A narcissist is a lazy and afraid. They prefer to stick to a victim story, rationalize their lies and abuse, and hide from themselves. An empath is someone who enjoys the ‘intimacy of separateness’ and flow of emotions between real people. A narcissist just doesn’t care about others unless they can somehow benefit. I would argue that all people are on a spectrum depending on circumstances. The narcissist cannot exist without an empath to enable them. Although the empath enjoys authentic feeling and connection; the narcissist lives to bolster their story and seeks to shut out true flow of feelings that threaten their unreal reality. For many empaths, the “rock bottom” epiphany comes when a narcissist says for the umpteenth time “My actions are the result of you allowing me to mistreat you.” You can have a relationship with a narcissist but it will always feature two constants- you will both love them; you will both want to improve yourselves to save the relationship. When someone tells you that nothing they say or do is their responsibility, you will realize that you will never be able to save someone who doesn’t want to be saved and more than you can’t wake someone who is just pretending to sleep. A relationship exists between two human beings, not a static autocrat and a pliable helper. While I greatly enjoyed Dr. Northrup’s ideas, I truly don’t believe that narcissists are different and that they lack the capacity to feel and empathize. They are just too afraid to start over, do the work, and have to face the pain of just how badly they have ruined their relationships, lives, and chances at happiness in order to cling to their false image of themselves.